The PR-756LG Relaxer is a lift chair recliner that features a back with 4 separate, zippered, waterfall pillows. You can unzip each pillow and add or remove the stuffing to get a personalized fit just the way you want it. 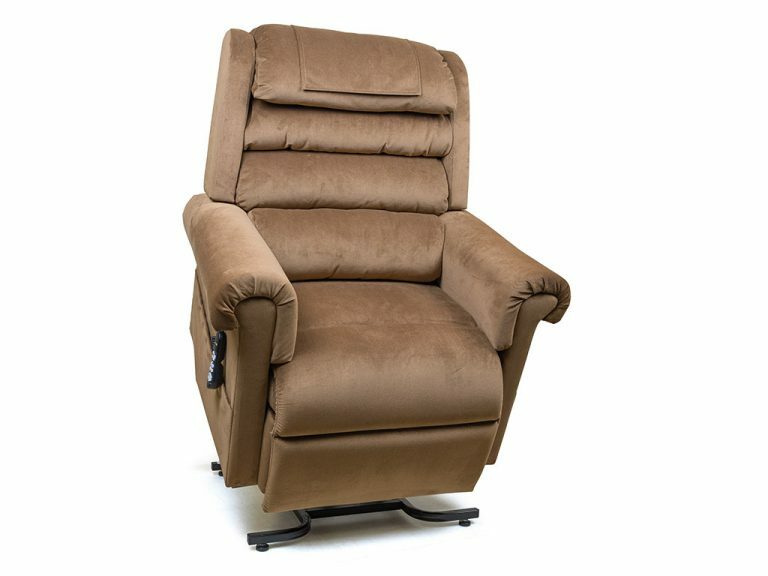 The unique MaxiComfort system allows you to elevate your feet above your heart in the fully reclined position for improved circulation. With an almost limitless positioning capability, the Relaxer can recline into a "zero gravity-like" position for optimal pressure relief in the lower back. Features include a generous 22" seat width between the arms and and extra long 44" extension from the back of the seat to the end of the footrest. If you are longer legged then you can add a 3.5" Foot Rest Extension for a total 47.5" extension.